1. P-Tronic offers a reduction of 15% for all on-line purchases, and delivery costs are free all around the world. 3. Every diesel engine is fitted with a 'security mode' system which cuts out the turbo when the mechanics have been put under too much pressure. Simply restarting the engine puts it back to its original configuration and therefore enables the turbo to be 'recuperated' in perfect working order. By contrast to other power kits on the market, P-Tronic tuning box maintain this active parameter in order to preserve the turbo in cases where too much is asked of it. 4. Some competing brands to P-Tronic use simple brocaded standard computer to interface between the housing and the engine plugs. This device is all but sealed. It can cause the oxidation of the housing components and, more importantly, a short circuit in the electronics of the vehicle. 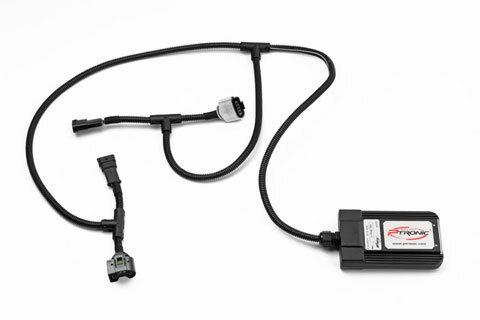 Through their connector plugs original , the P-Tronic tuning box guarantee free reliable, water resistant, dust and sand. Several crews from Dakar we are also confident and equip their vehicles with our product. 5. Our client service is available 7 days, from 8.00 am to 10.00 pm. 6. If the power chip-unit breaks down, we commit to react within 24 hours following your call your call or e-mail. 7. P-Tronic guarantees the best quality-price ratio on the market. 100% of our clients are satisfied because, even in a case of incompatibility between the vehicle and the tuning box, we will seek out a personalised solution. 8. P-Tronic performance tuning box - units are manufactured in Belgium, in our workshops, by people with a passion for mechanics. The electronic components come from Quality System, while connectors and cables are all original and of superior quality. 9. P-Tronic is exclusively involved in tuning box for diesel and petrol engines. This makes us an undeniable expert in this field, a factor which can be seen both in the level of research and the quality of our products. 10. If you change your vehicle, and your existing power box - unit is no longer compatible, PTronic commits to helping you re-sell it. 100 % of the P-Tronic boxes are supplied with original connectors. Our client service is available 7 days.